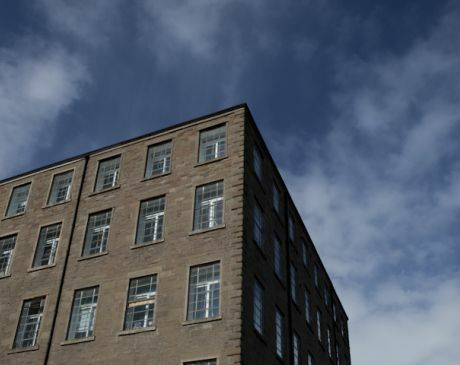 This is a call for proposals from Meadow Mill Studios for a fantastic new project space at the recently developed Meadow Mill studios in West Hendersons Wynd. Meadow Mill Projects cordially invites you to submit proposals for Vitamin D, an open call for events and exhibitions to be staged on and offsite at Meadow Mill Projects between 26th July and 17th of August 2013. Submissions are welcomed from all manner of creative practitioners whose work is linked to or informed by visual arts practice. Vitamin D: helps regulate calcium and phosphate levels in our bodies; these nutrients are essential for healthy teeth and bones. We synthesize vitamin D through the agency of the sun – simply by being outside. Vitamin D can synthesize all forms of work outdoors. This includes performance and placed objects, visuals in the public environs of the city and gallery based concepts for proposed public works whose imaginary budgets and relationship with reality may be limitless. Proposed works may be situated outdoors or could be installed in Meadow Mill Projects One, our newly redeveloped gallery space. There is a small materials budget available to support some projects, exhibitions and events and up to four projects will be selected. Please indicate on your application if you need financial support to realise your proposal. For more details about Meadow Mill Projects, technical advice and guidance on how to make a submission for Vitamin D please read over our Meadow Mill Projects Proposal Guidelines and Wasps Studios Exhibitors Guidelines. Please submit your proposal no later than Monday 24th June. All proposals will be reviewed by the Meadow Mill Projects Panel and successful proposals will be notified by Thursday 27th June. Back in July, I mentioned feedback I had received from Dundee City Council following flash flooding in the Meadow Mill area of the West End Ward, near to Verdant Works. “Scottish Water and my Engineers are continuing their investigations into the root cause of the flooding within the immediate and surrounding area and I can confirm that CCTV surveys of the drainage system on Brook Street, Guthrie Street, West Henderson Wynd and Milne’s East Wynd were all completed on 30th July 2011. Although we are currently awaiting the reports and video footage from Scottish Water and EEC, the CCTV Contractor, I can confirm from discussion with Scottish Water that there was no apparent blockage or obstruction within the trunk sewer network. In addition, my Engineers have also completed a physical survey of all the gullies on the same streets and the gullies have also been cleaned on Brook Street. The cleaning of these gullies will ensure the road water will enter the drainage network unobstructed with the gully pots providing modest additional storage at times when the network is running at or near capacity. The physical survey noted above included a CCTV survey of the private network within the Industrial Estate and the condition of this system has been fed back to the Factor of DIA Business Properties. From the survey of this private network I can confirm there are various silted sections which require cleaning to ensure the network runs at its most effective. I understand that the gullies within the estate are cleaned out regularly and this has been confirmed by the factor and the contractor, Tayside Contracts. A survey was also undertaken with the Factor’s agent and one of my Engineers to map the private network and a drawing detailing the findings was prepared by my Engineers and provided to the Factor. My Engineers, together with Scottish Water, have had a number of meetings with the Factor of the DIA Business Properties to discuss the detailed layout of the private network and this, together with the mapped network layout has helped the factor who previously had no records of the system within his property boundaries. Finally, a further survey was carried out with a local contractor who is currently working at Parkmill, on Douglas Street and the purpose of this survey was to assess whether the drainage works they have carried out is affecting or adding to the recent flood events. We are currently compiling a composite plan of the whole area of concern using historical and current maps. By doing so a fuller understanding of how the watercourses interact with the current drainage network within the immediate and surrounding area of concern. Once we have received the CCTV survey, and collated the historical and current maps of the area we will have a better understanding of the mechanisms which are affecting the drainage system and be better placed to identify any potential improvements to the public and private systems. Following the devastating early-morning flash flood last Monday that affected the Meadow Mill area, near to the Verdant Works, causing thousands of pounds worth of damage, I have been in touch with the City Council and Scottish Water about the flooding issues in the area. This is a significant problem – at its worst last Monday, water reached two feet in depth and its force ripped up parts of the roadway. There have been calls for a storm drain to be provided to help protect properties from future occurrences and I have asked Scottish Water and the City Council to clarify what can be done to help avoid such flooding in the future. “Scottish Water and my Engineers are working together to understand better the failure mechanisms associated with this specific area. The way in which flash floods of this type affects the area varies depending on the intensity and duration of the storm and also site specific factors such as the capacity and condition of the public and private drainage systems, local blockages at road gulleys, surface obstructions and the topography of the area. Unfortunately, the nature of these flash floods, combined with unfavourable circumstances such as those noted above can impact on the site in different ways and this means the most effective flood protection measures and response can be difficult to determine or predict. An example of this includes the storm on 6 July which was similar in nature to the one experienced on 11 July. An inspection on 6 July revealed no flooding in the area. I appreciate this may be the exception here as our site visits have also shown flooding during similar events. 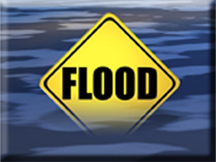 In order to determine the most cost effective and sustainable method of reducing flood risk it is essential that the root cause of the flooding is established as this will inform the design process and ensure investment by any party is cost beneficial. Alternatives may include additional site storage and controlled discharge, improved maintenance or repairs to existing systems, appropriate protection, adaptation or consideration of measures in the upper catchment. Once the root cause is established alternatives such as those noted can be explored in more detail. For your information I can confirm that my Engineers will extend the investigation of the public system to Brook Street by attending a Scottish Water inspection. The manholes were observed surcharging by my Engineers on Monday 11 July at 7:20am and following our reporting of this to Scottish Water the inspection will now take place. The purpose of this will be to determine whether there are any obstructions within the system adjacent to the surcharging manholes. As noted previously this will feed in to our ongoing discussions with Scottish Water as we try to resolve matters in this area. I am pleased to see proactivity by the City Council as it is important that the flooding issues in this area are addressed.